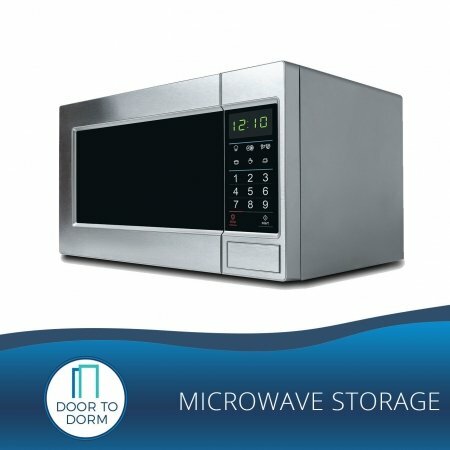 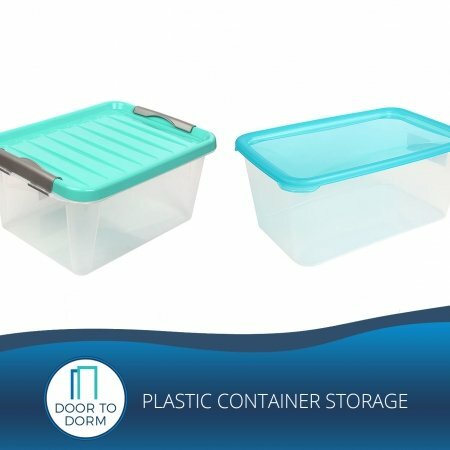 A great value, with a 3-month minimum of storage required. 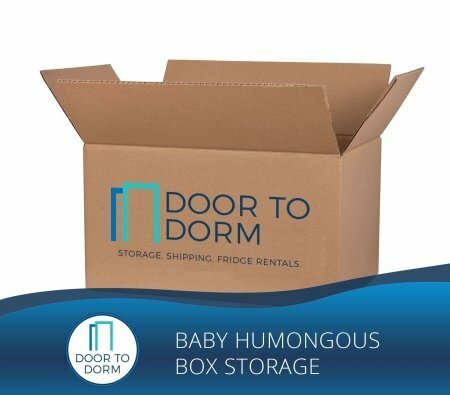 The Baby Humongous Box measures 24″ x 24″ x 24″ – plenty of room to pack and store your most valued items over the summer so you don’t have to lug them home only to bring them back. 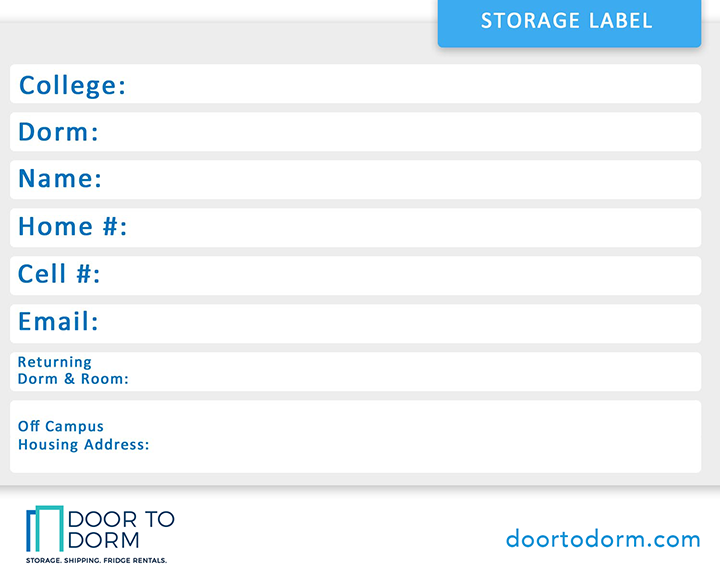 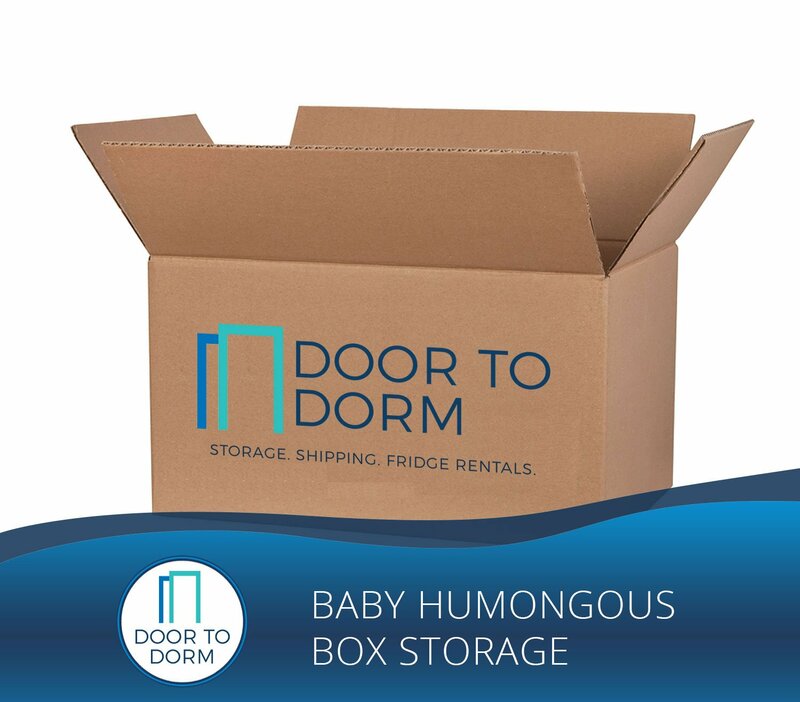 This package includes local storage, pickup from your dorm, drop of from our storage facility, a FREE baby humongous box, and labels. 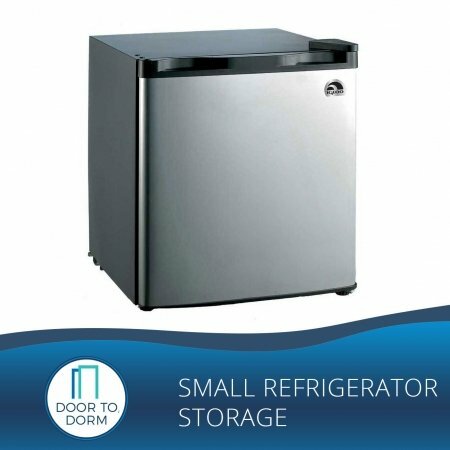 You’ll be surprised how much you can fit in this baby! 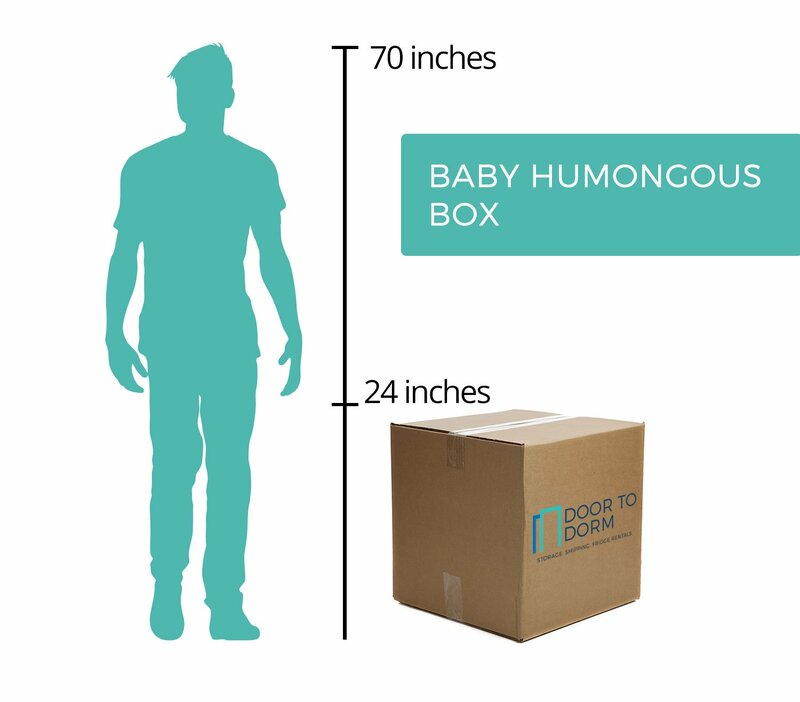 Our Baby Humongous Box is 24″ x 24″ x 24″. 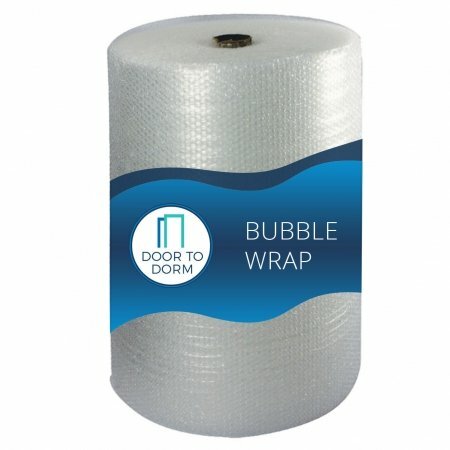 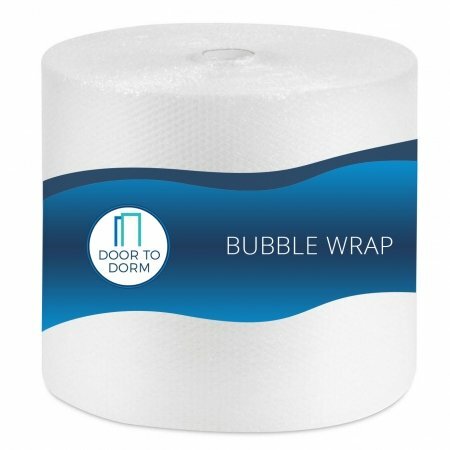 This package includes packing tape. 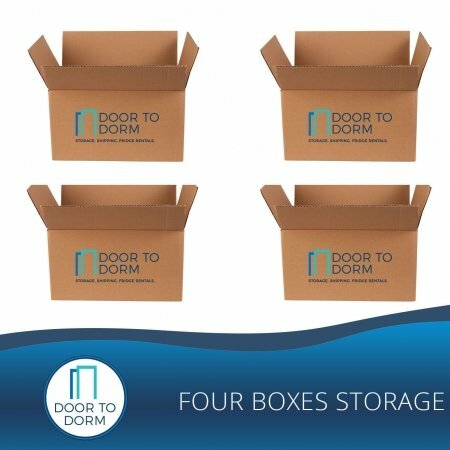 As with all of our box storage options, this package includes 3 months of storage, professional pick up by our moving staff, secure & local storage, and delivery when you return to school. 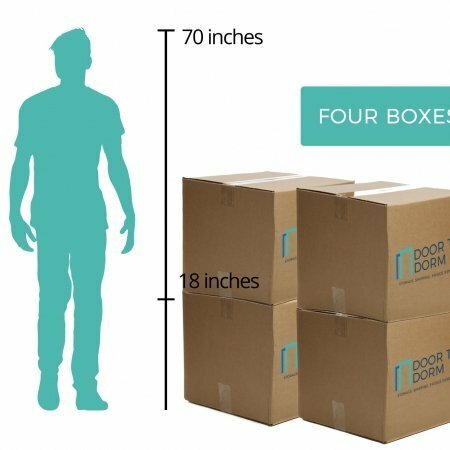 You must allow a minimum of 24 hours between a box drop-off date (when we drop off free boxes & packing supplies to you)and a box-pick up date (when we return to pick up your packed box to bring to storage).